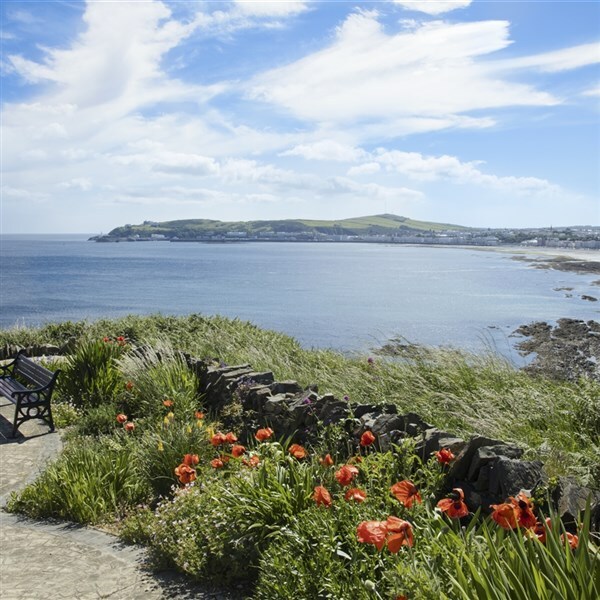 The Isle of Man has over 200 square miles of beautiful unspoilt countryside and coastline with little coves and superb beaches. Our base is the island capital Douglas, with its delightful promenade, Victorian pier and specialist shops. With excursions to both north and south of the island, featuring three different Manx railways, not forgetting the ride up Snaefell, we feel this will be a very enjoyable and relaxing holiday. We depart from your home with our exclusive door to door pick-up service and join your coach to travel to Heysham to connect with the afternoon sailing to the Isle of Man and onto your hotel in Douglas. We join the Isle of Man Steam Railway train from Douglas to Port Erin with its beautiful sheltered bay overlooked by Bradda Head where we rejoin our coach to travel to Port St Mary and Castletown. Today we join the Manx Electric Railway for a coastal ride to Laxey, we then join the Snaefell Mountain Railway to the summit with views across to Ireland and Wales. Upon our return time allowed to view the famous Laxey Waterwheel before re-joining your coach and continue onto Ramsey before returning to Douglas. A leisurely breakfast this morning and a day at leisure in Douglas. This morning we return to Heysham we begin our journey home. The Empress commands a prime position on the Victorian promenade overlooking Douglas Bay; the hotel has been extensively upgraded and proudly maintains its position as one of the best hotels on the island. A large conservatory spans the entire length at the front of the building, a piano bar. All bedrooms have complimentary refreshments; satellite TV, hairdryer, trouser press and direct dial telephone. Your first impression of the Empress will be that of refinement mixed with a relaxing friendly atmosphere. Home pick-up and join your coach to travel to Heysham to connect with the afternoon sailing to the Isle of Man and onto your hotel in Douglas. Today we join the Manx Electric Railway for a coastal ride to Laxey, we then join the Snaefell Mountain Railway to the summit with views across to Ireland and Wales. Upon our return time allowed to view the famous Laxey Waterwheel before rejoining your coach and continue onto Ramsey before returning to Douglas. The Empress commands a prime position on the Victorian promenade overlooking Douglas Bay, the hotel has been extensively upgraded and proudly maintains its position as one of the best hotels on the island. A large conservatory spans the entire length at the front of the building, a piano bar. All bedrooms have complimentary refreshments, satellite TV, hairdryer, trouser press and direct dial telephone. Your first impression of the Empress will be that of refinement mixed with a relaxing friendly atmosphere.